Millie’s Sandwiches officially opened early 2006 with a couple of staff members, a warehouse, prep room and a single office. We started with one van delivering around Finedon Road industrial estate, Wellingborough, with a few pop ins from people on the estate. Millie’s started from a passion and it’s a passion that has grown with us over ten years. We’ve ventured into bigger premises on the estate, opened a cafe, increased the number of vans delivery not only to the local estate but around the county and made some great relationships along the way. The team has grown during this time too and remain core to deliverying the passion that began this journey. We’re delighted to see our customers and suppliers day in day out and the feedback we receive is great to hear. Don’t just take our word for it though, take a look at what our customers have to say on tripadvisor. A warm welcome awaits you at our Wellingborough cafe, Millie’s Sandwiches – we look forward to seeing you soon. 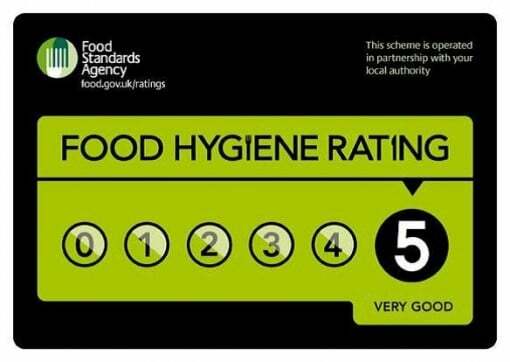 Millie’s Sandwiches is extremely proud to have been awarded the highest possible food hygiene rating. Millie’s Sandwiches is a proud member of the Federation of Small Businesses.